Q : “Hi Mariah. Some lamestreamer queried me today regarding fruit being to acidic for the teeth. He'd seen some documentary last night about dentists saying fruit juice in the morning and fruit in general is the worst thing for ur teeth. Do all the Dr morse crew have good teeth”? A: Not everyone has good teeth, depends on their individual health status to begin with, & their method of transition over to a diet of fruits. Many fruit eaters have great teeth & find their teeth improving on fruit diets. on their present internal condition combined with the quality of fruit they ingest... 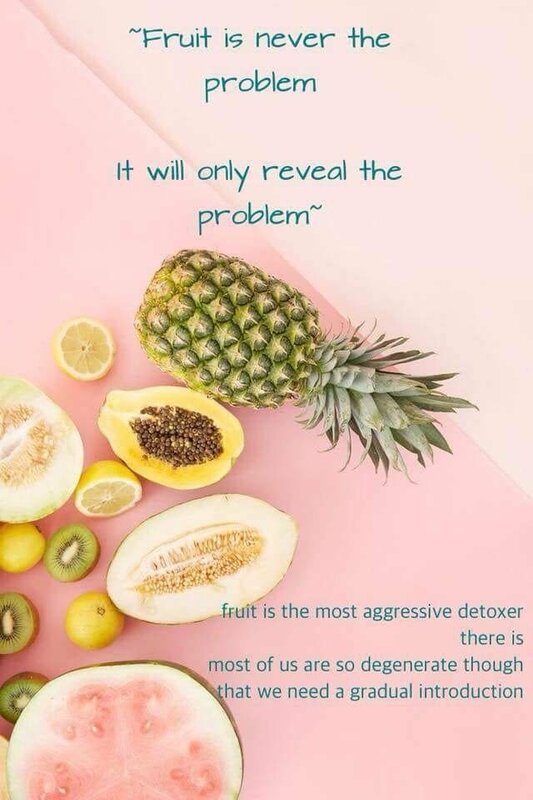 If fruit is picked green & unripe, (especially pineapples & oranges) they can be acidic or will have an acid ash residue within the body... if the fruit is picked ripe, it’s an amazing, alkaline fruit the way nature intended ... so quality of fruit is important & one of the biggest obstacles I find with living on fruits... Take a lemon for example, most think they are acidic (which they are outside), however, lemons have an alkaline Ash residue within the body (that’s what counts) ..